Snapchat has an estimated 100 million daily active users, which leaves many brands wondering if they need a presence on this popular platform. Let’s explore. 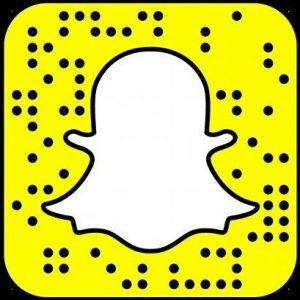 Here are some stats about Snapchat you might find helpful, including the fact that more than 70% of users are millennials (71% are under 34) and about 70% are women. So if you’re not interested in targeting women, or anyone in their 30s and younger, you can probably tap out here. If you’re still with me, here’s a handy explanation of exactly how Snapchat works. 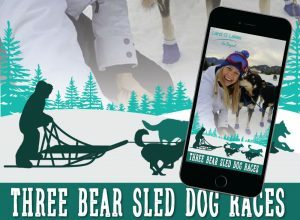 Check out these real-life examples of brands putting Snapchat to good use. Another way brands are finding success is with lenses (for example, Taco Bell’s lens turned your head into a giant taco). Unless you’ve got six digits to spend though, this is likely out of range. 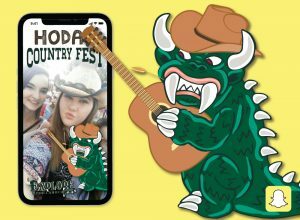 For businesses with a more modest budget, consider a Geofilter. You design a look that can be placed over users’ snaps, when they’re in certain locations. There are free versions (where you can’t use brand logos) and paid “on demand” versions (where you can brand all you want).